SCOTTSDALE, AZ--(Marketwire - March 7, 2011) - TASER International, Inc. (NASDAQ: TASR), a global provider of safety technologies that prevent conflict, protect life, and resolve disputes, today announced that it received three orders for its revolutionary new evidence capture and management platform. 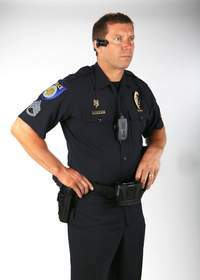 These orders for the TASER AXON™ on-officer camera and EVIDENCE.COM service include orders from the Hennepin Technical College (MN), Darlington Police Department (SC), and Quapaw Tribal Marshals Service (OK). TASER International also announced the purchase of 25,050 TASER® cartridges as an international follow-on order to support a continuing multi-year TASER® X26™ electronic control device program. Further customer information is not being released at this time. "AXON and EVIDENCE.COM are cornerstones to our mission to protect truth and reflect our commitment to provide innovative technologies that ensures accountability through the collection and protection of digital evidence," said Tom Smith, Chairman and founder of TASER International. "Hennepin Technical College is the second agency in Minnesota to purchase our system, and the Darlington Police and Quapaw Tribal Marshals Service represent the first sales of evidence capture and management platforms in their respective states. Our technology will act as a force-multiplier by providing quick access to key evidence, reducing the review time of false complaints, and providing the community enhanced transparency. We anticipate that these systems ultimately will save taxpayer dollars in these communities, and also will save officers and suspects alike from false and damaging allegations," concluded Smith. These orders were shipped and delivered in the First Quarter of 2011. Learn more at www.EVIDENCE.COM and visit http://www.TASERBranding.com for photos of the TASER AXON on-officer camera systems and related EVIDENCE.COM. TASER International, Inc. (NASDAQ: TASR) is a global provider of safety technologies that prevent conflict and protect life. More than 16,000 public safety agencies in 40 countries rely on TASER® electronic control devices (ECDs) and AXON on-officer camera systems to help protect and serve. TASER innovations benefit individuals and families too; providing personal protection and accountability while maintaining regard for life. Since 1994, more than 230,000 individuals have relied on TASER technology as a means for effective personal safety. 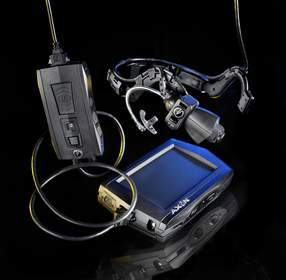 Learn more about TASER International and its solutions at www.TASER.com, www.Evidence.com and www.Protector.com or by calling (800) 978-2737. Be a part of the TASER community by joining us on Facebook, Twitter and YouTube. An AXON on-officer camera system for patrol use.